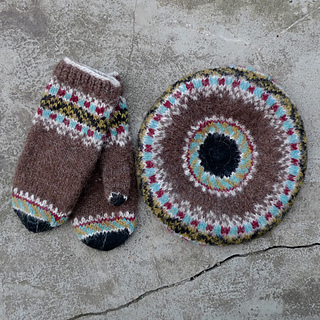 Pattern available in JAPANESE here. 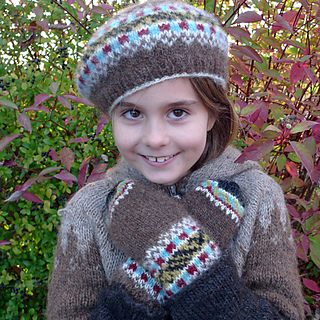 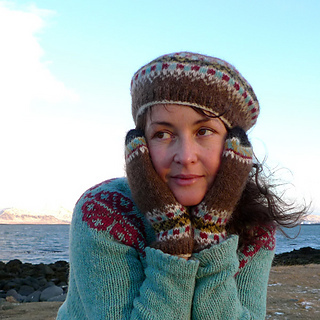 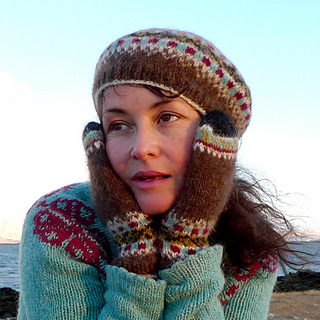 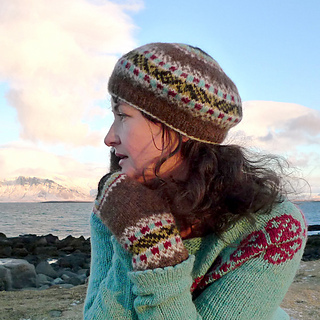 The traditional mittens from the West fjords of Iceland and their recognizable Leaf motifs inspired me those modern and colorful mittens with a matching tam. 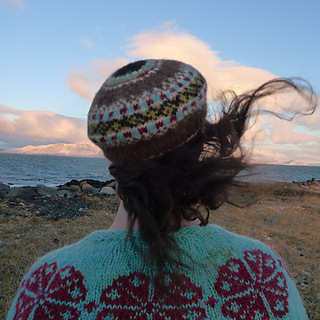 The tam is a completely new take on the tradition. 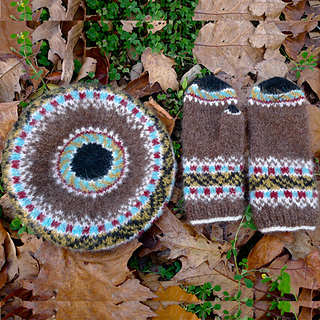 Tam: finished measurements 24 (26.5, 29) cm / 9.5 (10.5, 11.5)” diameter across top (can be blocked to bigger dimensions), to fit head circumference up to 48 (53, 58) cm / 19 (21, 23)”.